Participants will be introduced to contemporary educational challenges from global perspectives. Participants will also explore strategies that can be implemented within different contexts and investigate various themes relating to transformational leadership. Participants will collaborate to address issues raised within this module and discuss how they will take action and implement transformative leadership practices and policies. Focused on rich discussion and debate, the workshops help to contextualise learning within real world scenarios. Accessible from any mobile or desktop device, these sessions create a regular connection point enabling collaborative exploration of key ideas and concepts. The ELP is designed for high performing educational leaders including principals, system leaders, leaders of professional associations and sector leaders. The International Executive Leaders Program (ELP) is a new, exciting and innovative collaboration between the International Confederation of Principals (ICP) and NESLI. Core content is accessible via NESLI’s learning management system (LMS) allowing participants to engage with it at any time from any device. 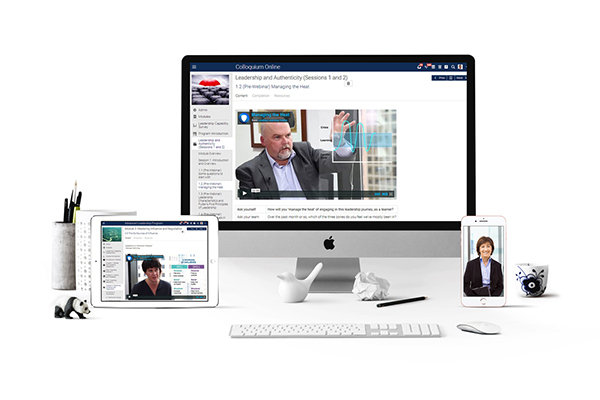 Content includes high quality video tutorials, live participant discussion boards, ‘best practice’ globally curated leadership literature, discussion-driven task-work and reflective tasks. Participants are also able to connect with one another 24/7 through the LMS enabling them to collaborate on individual tasks and discuss ‘top of mind’ issues. Participants undertake a rigorous industry-standard Psychometric Assessment which provides meaningful insight into their personality, characteristics, values, strengths and derailers. They will develop an awareness of how the information from the psychometric testing can empower or enhance their leadership development. Coaching sessions unpack the results of the Psychometric Assessment and offer detailed information regarding the characteristics, competencies, and values that underlie how each participant approaches their role and responsibilities. The Transformative Leadership Initiative (TLI) is the co-constructed leading change initiative designed to have a positive impact in the participant’s organisation. It is a robust evidence-driven multi-phased process which provides participants the opportunity to customise leading change in their context. The TLI aligns with and expands on the participant’s global strategic thinking. NESLI and the the International Confederation of Principals (ICP) are committed to supporting candidates from low GPD countries to participate in the ELP. Accordingly, a number of subsidised program places are reserved for participants from a designated list of countries. Contact us to check on the availability of any subsidies to support your enrolment. In this module participants will strengthen their understanding and skills related to resilience and wellbeing and how this can be implement this into their leadership and decision making. They will also demonstrate and build their educational leaderships skills by learning how to strengthen positive wellbeing cultures within their organisations. Participants will increase their own self-understanding via self-reflection and it is anticipated that these skills and understandings will positively impact the wellbeing of staff and students in their organisations. Collaborate with other participants to identify opportunities to apply resilience and wellbeing in their respective organisations. Participants will be introduced to ethical leadership and how it relates to their educational leadership and how this can be developed and implemented or incorporated into policies, strategies and practices. There will be a deep dive into concepts such as voices of their profession and collaborative professionalism. Participants will also investigate the notion of “leading from the middle” and how this can help develop leadership capabilities and have a transformative impact for their organisation. Finally participants will explore the power of collaborative networks and how to effectively utilise networks to communicate and implement decisions. Participants will explore contemporary global issues associated with diversity, equity and inclusion. They will also identify relevant issues within their organisations and identify strategies for the implementation of relevant initiatives. The module will also look into opportunities for enacting policy, strategies and practices on this topic. Participants will build upon their experience in strategic thinking from a global and dynamic system context. The module will build upon their knowledge of these contexts and encourage collaboration with other thought leaders on this topic. They will also explore the concept of “Governance as Organised Decision Making” and develop strategies to benefit students and staff in their own organisation. Participants will develop strategies for mobilising people, resources and systems within a context of ‘act local and think global, participants, in collaboration or through discussion with other participants, will develop strategies for mobilising people etc. The final module provides an opportunity to conclude and synthesise the program, and to summarise and reconnect the previous modules. The final webinar allows participants to present their TLI project to the rest of the cohort and to celebrate successes achieved throughout the program.